Most of the instructors and professors at Macomb have master’s degrees, many have Ph.D.s and more than a few also teach at the university-level. All share a belief in the ability of education to transform lives and better communities. It is the reason they have chosen to teach at Macomb Community College. Meet our faculty and discover how they’ll help you succeed and why they make Macomb proud. For more information about Macomb Community College, please visit Macomb.edu! Taking this concept a step further, Kohl also wants to ensure students feel comfortable coming to him with questions. It’s this welcoming attitude that draws graduates back, popping in to say “hi” and celebrate their accomplishments. Kohl’s own Macomb success story began in the early ‘80s, when he came to the college to pursue a degree in Computer Numerical Control (CNC) machining, which was “the closest thing I could get to computers and manufacturing.” He followed this up with bachelor’s and master’s degrees in Industrial Engineering from Wayne State University. Learning to like and adapt to change is an important part of working in the IT realm, and Kohl finds it exciting to see the amazing strides being made in technology. Singling out the cell phone as an example, he cited that the first model cost $5,000 and was essentially a “suitcase on wheels.” They now have more power than “the first rocket that went up into space,” and are even taking the place of point-and-shoot cameras. 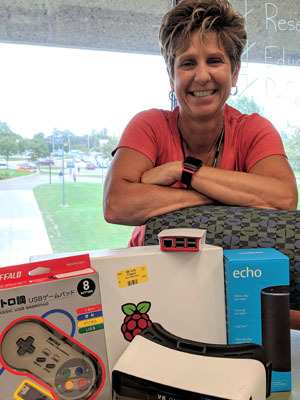 New for the 2018-19 academic year, Kohl and Professor Jackie Wanner teamed up to share their love of technology by starting a makerspace at Macomb. Using funds awarded through a college Innovation Award, the duo purchased a bevy of fun and innovative gadgets, including Raspberry Pi kits, a 3D printer and virtual reality (VR) goggles. Now in its second semester, the makerspace offers flexible hours to anybody who would like to experiment with technology and let their imagination run wild. Whether stopping by the makerspace or taking an IT class, Kohl encourages students to “stay hungry and keep learning.” And, Macomb provides the perfect atmosphere for this. While he is part of what marketers once dubbed “The MTV Generation,” Joe Rice’s preference when he was growing up in Sterling Heights was to watch game shows, sitcoms and sports. But the thought that someday he would work at a television station and win three local Emmys never crossed his mind. Moving into the role of WJBK Fox 2’s promotions manager, Rice was involved in every aspect of the promos designed to attract viewers to the station’s local broadcasts. It was a perfect blending of analytics and creativity, two of the three hallmarks of the marketing profession, with “people,” he says, constituting the third. If one of his students can find “a home” in one of those areas, he tells them there is a career for them in marketing. Working closely with the on-air talent and the behind-the-cameras staff, Rice appreciated the teamwork that went into each broadcast. The station paid for him to return to school and he earned a master’s degree in management, with a concentration in marketing, from Walsh College. But as the broadcast industry underwent yet another transformation and he grew weary of the daily commute to Southfield, Rice began looking for something closer to Sterling Heights, where he and wife Dottie, who he met when both were in WMU’s marching band, were raising daughters Julia and Annie. Macomb was hiring marketing professors and he was in the market for something new. Rice joined Macomb’s faculty in 2005. And although many of the people he worked with at Fox have left the station, he still visits the Southfield studio at least one a year to see what’s new in the industry. It’s one of the many ways he stays current in a field that is constantly changing. 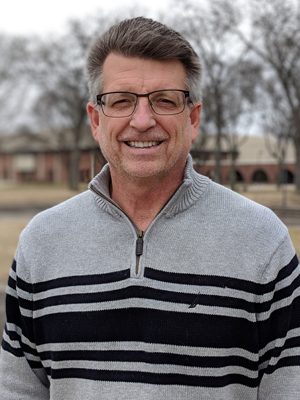 When Rice first started teaching at Macomb, one of his colleagues advised him that he now had the best job in the world. Reflecting upon his career, the marketing professor takes it a leap further. When Randy Bangs studied in Belgium with Flor Peeters, a well-known composer with a penchant for innovation, he influenced not only her approach to the keyboard but to teaching her future students as well. Both come into play in Bangs’ teaching philosophy. Whether it’s the piano or the introduction to the arts course, both of which she teaches at Macomb, she regards each student as an individual and each class as a new adventure, deserving of fresh ideas. For Bangs, the answer is, in part, using technology. The intro to the arts course she teaches is a hybrid, which she credits Stuart Scott, fellow humanities professor, for developing. The subject matter lends itself easily to visual cues, which are most effective in engaging students accustomed to social media’s transient images. With her piano students, the greater challenge is helping first timers overcome their fears. Bangs, however, began with private lessons after returning from school one day to discover a piano in the living room and her mother explaining to her father that their young daughter was going to learn to play. Turns out Bangs loved it and, like her hero Beethoven, she learned to play the organ as well. She earned a bachelor’s degree in music from Wayne State University and master’s and doctoral degrees, in music performance and music education, respectively, from the University of Miami. 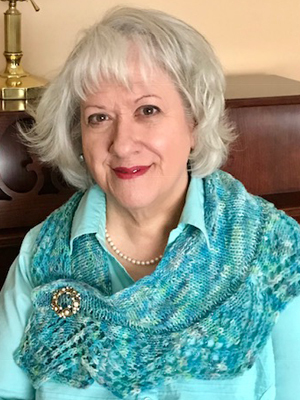 Bangs stayed in Florida for more than two decades, teaching both organ and piano for Dade County Public Schools before returning to Michigan when her father became ill. After spending summers in Mexico as a teenager, travelling to China and living in Europe, she has seen many places. Vienna, where both Beethoven and Mozart lived and are buried, is her favorite. But, it is at Macomb where she has found her own special kind of harmony. Dave Tramontozzi, Chemistry professor, sees his younger self in many Macomb students. He rode his bike to classes at the University of Windsor, where he earned a bachelor’s degree in biochemistry and a Ph.D. in chemistry and biochemistry, while working as a bartender. While many of his classmates at the university were headed toward medical school, Tramontozzi chose a different path after working as lab, research and, ultimately, teaching assistant. Tramontozzi first taught in an auditorium to 400 students at a time, which gave him insight into what type of teaching position he would prefer. One of the first things his students learn is that Tramontozzi is Canadian. He grew up just outside of Windsor and now lives on its south side with his wife and three sons, whom he coaches in baseball and hockey. 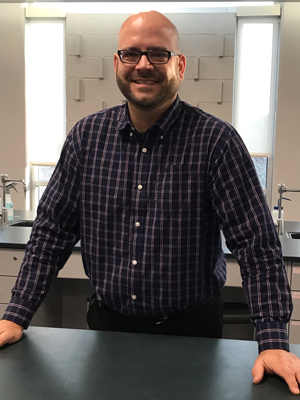 Second is that he is dedicated to showing his students how relevant chemistry is to their understanding of the world, and offering guidance if they decide to make it a career. Along with colleague Cathy Kelly, Tramontozzi received a Macomb Innovation Award this year to fund a Science Student Advisory Panel comprised of former Macomb science students now on their way toward science-based careers. The panel will share their experiences with current students on Feb. 21 beginning at 5:30 p.m. in K Building. South Campus. Psychology Professor Paulina Multhaupt loves empowering students by exposing them to new ideas, fighting stigma and challenging preconceived notions. 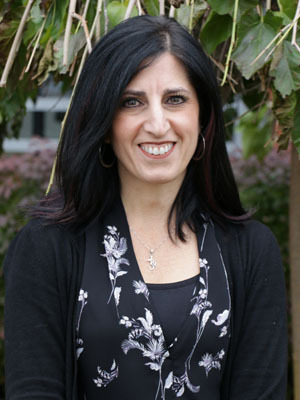 Multhaupt, married and a mother of two teenaged sons, obtained her undergraduate degree in Psychology from Michigan State University, and her master’s degree in Clinical Psychology from Eastern Michigan University. She started teaching at Macomb in 1999, and shares what she describes as “a kindred feeling with the College.” Both of her parents attended Macomb, and her siblings (who also graduated from MSU) took math courses on campus. After her husband accepted a local teaching position, the first thing she did was to apply at Macomb. Nearly 20 years later, she appreciates just how little students have changed since she began. While others may make claims to the contrary, she hasn’t noticed a difference. 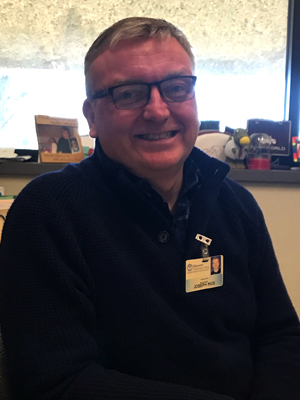 In addition to instructing, Multhaupt also serves on the committee and is a presenter for the SAFE @ Macomb program, which strives to make the College safer and more inclusive for lesbian, gay, bisexual and transgender (LGBT) students and employees. 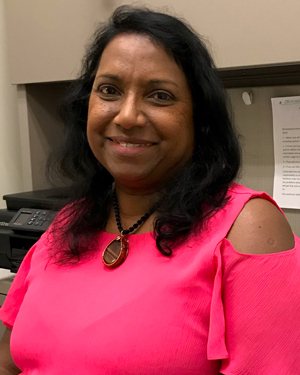 When Padmavathi (Pat) Lathers speaks to students in the English for Academic Purposes (EAPP) classes she teaches at Macomb, her knowledge of the subject matter is backed by a wide world view and fluency in four languages. Growing up in Singapore with parents who had emigrated from Malaysia, Lathers learned to speak comfortably in English, Chinese, Tamil (a language of India) and Malay. Because she was introduced to all these languages at such an early age, she can now move effortlessly between them without stopping to think. In Singapore, Lathers was surrounded by multiculturalism and that, as much as the languages she learned, led her to where she is today. To offer that experience to others, Lathers launched an International Students Group that she hopes will connect all Macomb students, regardless of homeland, in a joint exploration of the world around them. With its first officers now in place, Lathers serves as advisor. Lathers moved to the U.S. on her own 30 years ago. Her destination was Northwest University near Seattle, Washington. There, she earned a bachelor’s degree in biblical literature and met Jonathan Lathers, her husband and an EAPP professor at Macomb. Before settling in Jonathan’s home state of Michigan, where they raised their son Christian, the Lathers worked as bible translators to with the Summer Institute of Linguistics.